Located on the busy seaways linking the Indian Ocean to the Pacific, Malaysia continues to grow in commerce, culture, international relations, and in recent years, tourism. This beautiful country is now one of the most attractive tourist destinations in Southeast Asia. Due to having a rich culture, Malaysia is the land of many cultural villages. One of the most popular destinations in Malaysia shore excursions is Monsopiad Cultural Village where locals perform a traditional dance in the unique costumes. Malaysia shore excursions present a tropical country which is sunny and rainy all year round with tropical rainforest, mountains, and white sand beaches. The 4,100-meter high Kinabalu is the highest mountain in Southeast Asia. The dry season in Malaysia runs from June to July while the rainy season runs from October to December. The best time to visit Malaysia is from June to September. 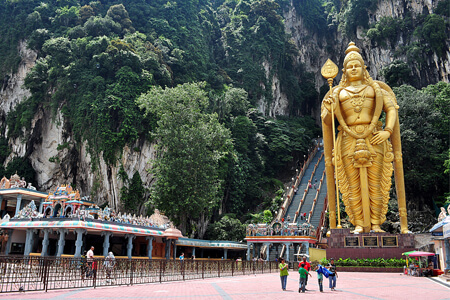 Asia Shore Excursions operates a variety of private Malaysia shore excursions. 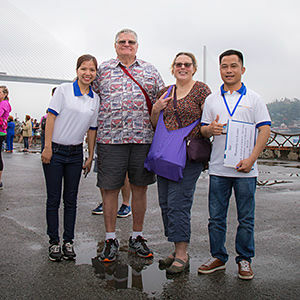 You can browse our recommended Malaysia day tours and trips or contact us for booking, consulting and tailoring a unique Malaysia shore excursion to suit your budget and interests. Located in the Malaysia Peninsula, stretched to parts of Borneo, landing on over 300,000 kilometers, Malaysia is well-known for the modern capital city Kuala Lumpur, a business and financial center of Southeast Asia, stunning beaches, pristine islands, and several UNESCO World Heritage Sites. Not only Malaysian living here, there is also a large size of Chinese and Indian which together create a rich culture with diverse relics and different architectural styles. 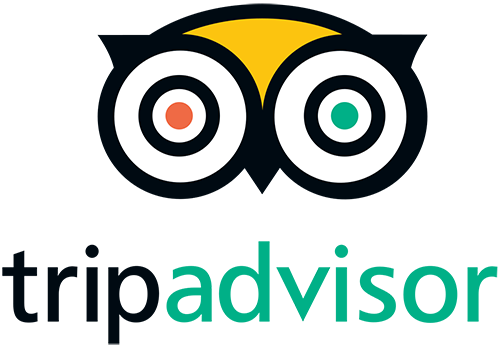 Asia Shore Excursions would like to recommend some fantastic activities for anyone need a guide to enjoy their Malaysia shore excursions. The Twin Towers are the tallest twin towers, and also one of the most iconic landmarks in the world. Located in the capital city Kula Lumpur, the structure attracts millions of visitors every year and is the must-seeing place in any Kuala Lumpur shore trip. The twin 88-floor buildings connecting by a glass bridge between 41st and 42nd floors with the height of 175 meters and the length of 58 meters. Stand on the bridge to catch the bird-eye view of the city. Is inspired by the Islamic architecture style, the structure is the corporate headquarters of many famous offices with the Tower One is completely the office of Malaysia state oil company Petronas and the other tower is taken by multinational companies. More than the office buildings, the Petronas Twin Towers bring various experiences. Next to the towers is a park providing a chance to jogging, strolling, and swimming. Then continue your Kuala Lumpur day trips by visiting the Petronas Art Gallery and Kuala Lumpur Convention Center. 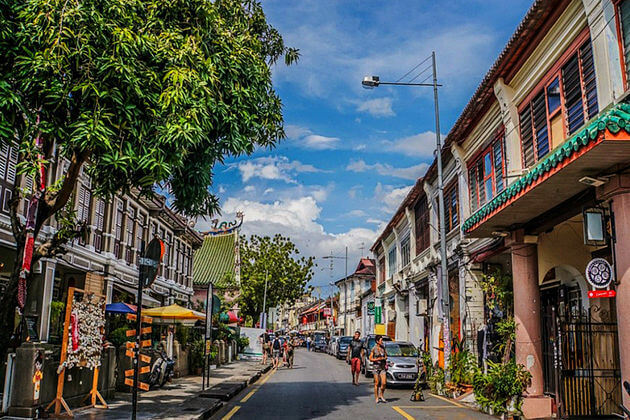 You can claim to hop on a Penang shore excursion if you miss a visit to the exotic George Town. 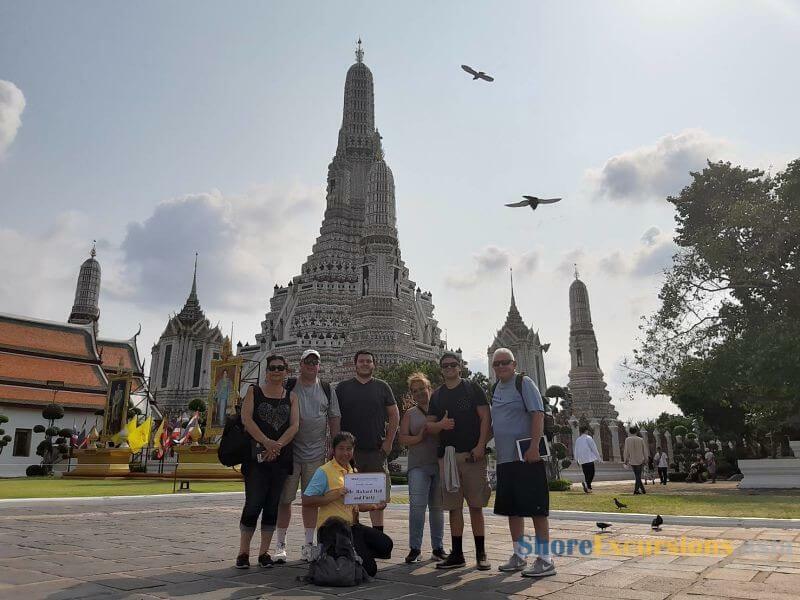 This place is always on the list of the hottest destinations in not only Asia shore excursions but also Asia tours and vacations. With the high temperature and 95% humidity, the first time visiting may be a little shock with the tropical weather and completely strange lifestyle. This small town can be tasted all the shades by strolling on your foot or hire a bike for more interesting experiences. The rich multicultural society gives the first hit by putting you in the ancient Kapitan Keling Mosque built in 1803. 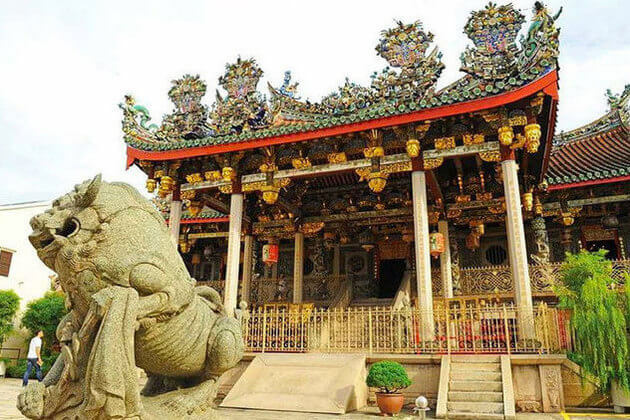 Nearby is the Goddess of Mercy Temple – the foremost Chinese temple, and also an Indian pavement shrine which worships leave fragrant jasmine flowers. 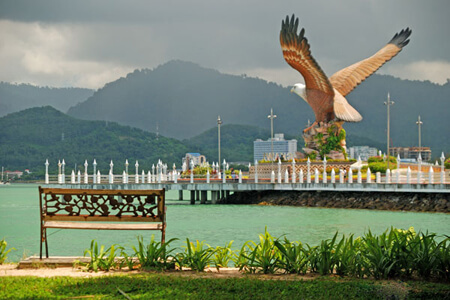 Langkawi shore excursions are the best choice for those who want to escape to the beach in Malaysia shore excursions. Are well-known for the sandy bays lazily laying on the coastlines, the beaches of Langkawi are beloved by beach-lovers, locals, and travelers all around the world. Pantai Cenang is the most popular beach in Langkawi with developed stretch lined up by hustle restaurants and bars as well as souvenir shops and duty-free outlets. The beach is a holiday center with several attractions such as Underwater World Langkawi, Meritus Pelangi Resort & Spa, and Rice Garden Museum. Sunbathing on the white-sand beach is a wonderful feeling. For more thrilling experiences, enjoy some exciting water sports such as jet skiing and parasailing. Pantai Cenang’s nightlife is like a scene put into reality from a fantastic film. Not only has Pantai Cenang, the other beaches of Langkawi are also spectacular including Pantai Tengah, Pantai Kok, Tanjung Rhu, Black Sand Beach, and Pantai Pasir Tengkorak. Tunku Abdul Rahman National Park is the complex made up of five islands including Gaya, Manukan, Sapi, Sulug, and Mamutik. Due to the location is only a short boat away from the center of the city, the park is a famous destination for any Kota Kinabalu shore excursion. Among the five islands, Gaya and Manukan are the biggest and developed ones. If you want some pristine experience in Malaysia shore excursions, Sulug and Mamutik are most suitable. The name of each island is interesting: Gaya means ‘big’, Mamutik is ‘for shell collection’, Sapi tells ‘the sound of mowing buffalo’, and Sulug reveals ‘commemorating the ancestry of the Sulu peoples of Sabah'. 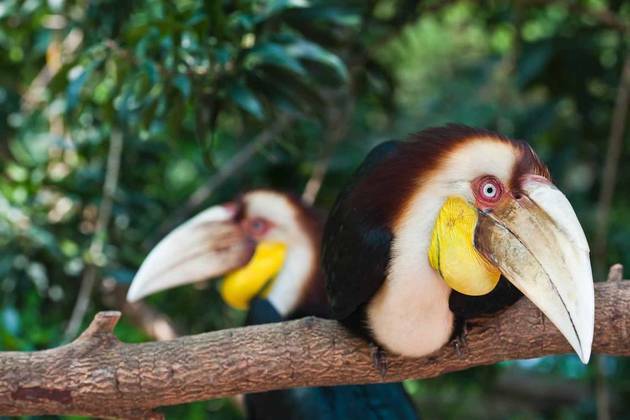 There are plenty of activities to do in the Tunku Abdul Rahman National Park. Go diving in many dive centers operated in the city such as Borneo Divers, Borneo Dream, and Excel Dive Center. 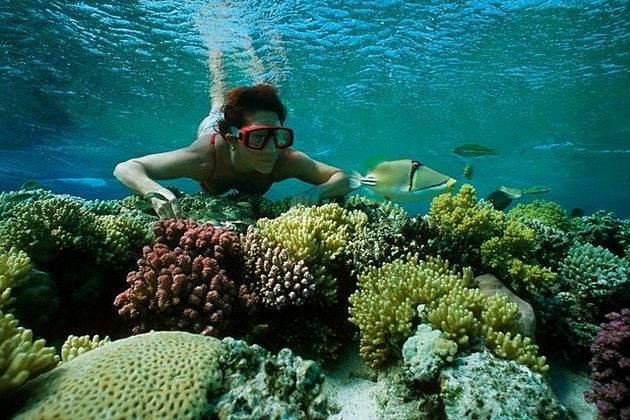 Or go snorkeling dip into the clear water to explore the ocean ecosystem. Then kayaking, sailing, and having a delicious BBQ meal on the beach’s sand. Trekking through the jungle to admire various animal species such as bearded pigs, long-tailed macaques, probosci monkeys, hornbills, monitor lizards, and endangered snake species. 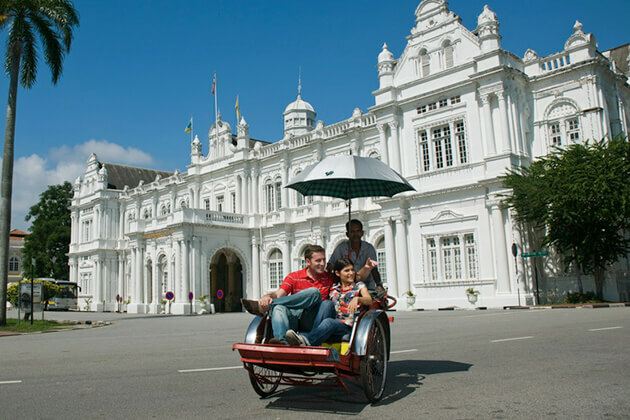 Off the beaten track of Malaysia shore excursions are the island Penang with the George Town – one of the hottest destinations in Asia - named after British King George. This UNESCO Heritage Site used to be the link connecting the Great Kingdoms in Asia with the markets of Europe, now buzzes with nightlife filled by street foods and besides, the pristine beaches and jungles are worth a discovery. The exotic Penang shore excursion – a foody paradise – is full of fantastic cuisine combined of Chinese, Malay, and Indian flavors with some featured dishes had to taste are Hokkien black noodles, roti canai dunked in a rich lamb curry, and luscious giant-sized prawns steamed in spicy Assam laksa and rice wine. You can find street food wherever you go with lines after lines stalls cooking all around the clock. For traditional dim sum, soak in Chowrastra market. Enjoy stingray roasted in banana leaf (yes, it’s really a quaint combination) at Old Green House. Or lost in the non-sleep Kimberley Street with several hawker stalls. Hop on a Kota Kinabalu shore excursion, there is no reason to avoid a visit to some cultural villages with traditional conventionalities and interesting lifestyle. Take a visit to Monsopiad Cultural Village home to Kadazan people. Set foot in the legendary house of Monsopiad’s descendants to witness 42 skulls of the warrior’s adversaries. Get a glimpse of Kadazan native dwelling made from palm trees and bamboos, then enjoy a showcase where locals performing their traditional dance in colorful ethnic clothes while sampling special rice wine. 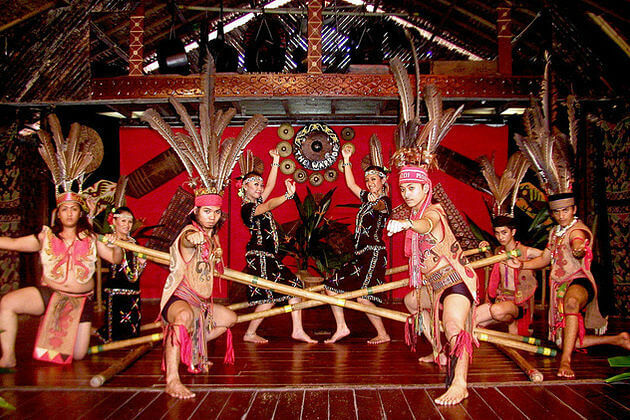 Another cultural village in Kota Kinabalu is the Mari Mari taking about 25 minutes from the center of the city. Landing beside the amazing untouched greenery, the village is scattered by several tribal dwellings. There are five main indigenous groups of Sabah which each name has its own meaning: Lundayeh is hunters and fisherman, Bajau means cowboys and sea gypsies, Rungus reveals the longhouse residents, Kadazan-Dusun stands for rice farmers, and Murat shows the infamous headhunters. You can admire the tribal breath everywhere. Stop for a while at demonstration stations to experience the traditional culture of daily activities such as hunting, cooking, and setting up the fire. Explore the House of Skulls to witness several ancient relics of Borneo’s headhunters including weapons, costumes, and even skulls of victims. For short, the best time to take Malaysia shore excursions depends on which area you want to come. 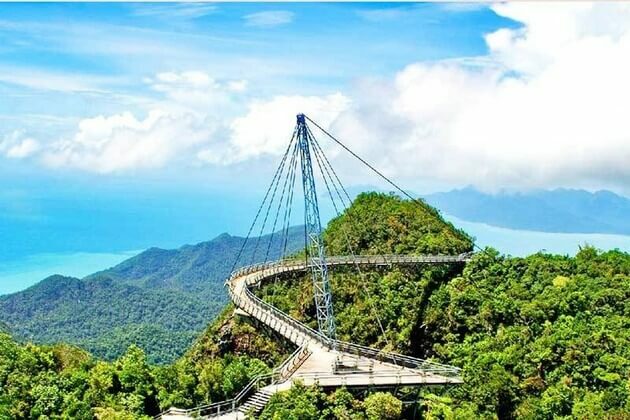 The west side including Penang and Langkawi is best visited from December to February, the east side including Perhentians and Tioman Island should be visited from June to August. Due to the location near the equator, the temperature is comfortably range of 26 to 28°C and does not have the distinct difference between seasons. So the heat is not an issue, the only thing tourists should notice is the rainfall. The peak of rainfall is between October and March. However, rain cannot pretend locals from holding festivals all year round. Asia Shore Excursions has presented the list of festivals and the time they took place. 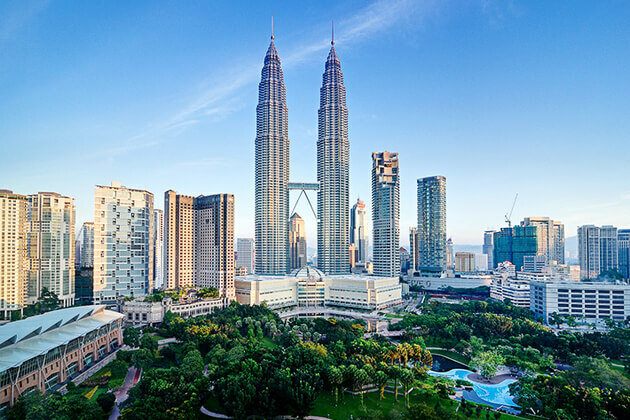 Kuala Lumpur – the capital of Malaysia – has the tropical climate with sunshine and high humidity all year around. In most Kuala Lumpur shore excursions, you cannot have a dry day that rain may suddenly visit. The driest month of the year is July that you can expect an average of 20 dry days. The peak of rainfall comes in April, October, and November. You should avoid these months for Kuala Lumpur shore excursions that most activities will happen indoors. This big island has the driest time is from December to March. 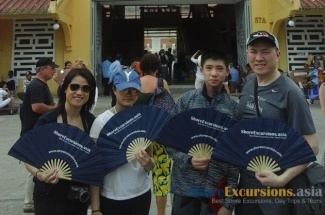 The ideal time for Penang shore excursions is between January and February when lacking of rain but high heat. The hottest month of the year in April when the rain becomes more frequent. You can get the heaviest rainfall in Penang during the time of September to October. 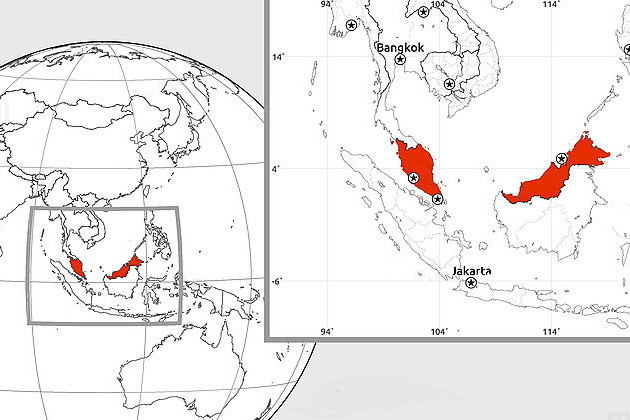 Known as Malaysian Borneo, the region of East Malaysia is the third-largest island in the world. Summer months from June to August are the best time to visit this region which is suitable for outdoor adventures such as natural exploring, sunbathing, and snorkeling. The rain coming all year round creates lush green forests where you can witness many endangered orangutan species there. Different from the west side, Malaysia Borneo has the peak of rain is from December to February which leads to muddy streams in both rural areas and big cities. This beautiful island attracts tourists mostly coming furring the time of December to February when the weather is nice. Moreover, if you hop on Langkawi shore excursions in the time from May to October, you can get in trouble with the jellyfish under seawater. Prepare a small bottle of vinegar in case of getting poisoned by them. Spring in Malaysia lasts from March to May with calm weather, quite hot temperature, rarely rain, and free of monsoons making strong winds. This season is best suited to on-beach activities. Remember to bring sunscreen to avoid the heavy dangerous UV to your skin. Of course, summertime is always the hottest time of the year. Your Malaysia shore excursions can be covered by a little rain depending on the area you go that we have just clearly written above. From June to August is the time of Southeast Monsoon bringing both heat and humidity. Events & festivals during summer in Malaysia Hari Merdeka, or Malaysia's Independence Day is celebrated annually on August 31st with parades and fireworks. However, traffic disruption can lead to some problems for sightseeing tours. Rainforest World Music Festival lasts 3 days during summertime filling with culture and music. 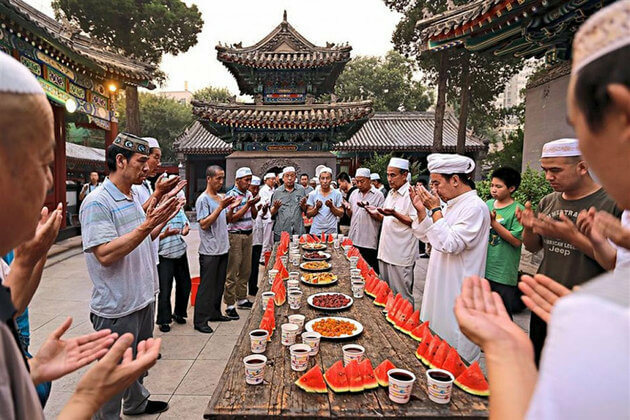 Ramadan: one of the most important festivals celebrated annually depending on the lunar calendar each year. Some restaurants and businesses don’t work during the time of festivals, or at least before evening. Don’t complain about that, remember to show your respect for their religion and belief. Autumn in Malaysia runs from September to November. In early autumn, the weather is nice with lack of rain and quite hot. Autumn ends with the heavier rainfall and cooler temperatures at night. Events & festivals during autumn in Malaysia Diwali: This festival is held on November 7th by Hindu followers widely in the whole country, especially in Kuala Lumpur and Penang. The winter of Malaysia lasting from December to February is covered by the northeast monsoon with heavy rainfalls and strong wind, especially in the afternoon and evening. However, the west side of the country gets a smaller amount of rain which best suits a beach holiday. Events & festivals during winter in Malaysia Chinese New Year: A large number of Chinese people living in Malaysia, Chinese New Year is also the most important event of the year which usually celebrated in January or February. 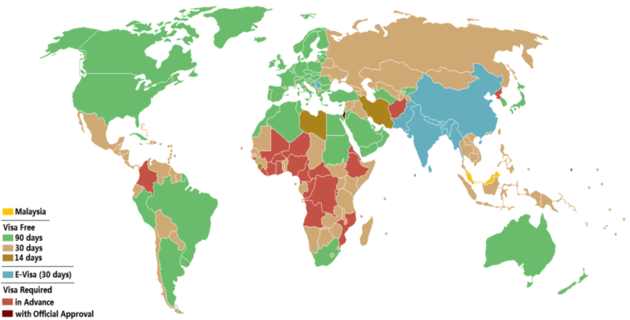 Religions: 61.3% Islam (official), 19.8% Buddhism, 9.2% Christianity and so on. To enter Malaysia, every person must possess a passport or Travel Document which should be valid for at least six months after the date of arrival in Malaysia. Certificate of Identity, Laisser Passer, Titre de Voyage, Permanent Residence Certificate are some examples of accepted Travel Document which must ensure that their passage to the country of origin is assured. It is such good news for travelers who have a passport in some countries such as England, Australia, Canada or the USA, and other Europe countries. Why? 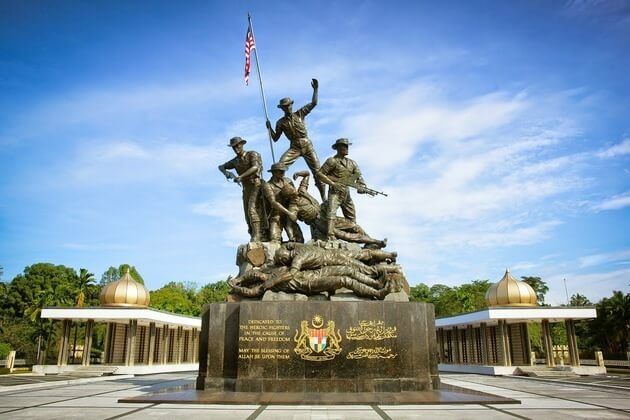 They are free to enter Malaysia without any visa requirement in up to 90 days, so they do not have to worry anything about the document during their vacation in Malaysia shore excursions. However, if you contact the embassy and find out that you need a visa to enter Malaysia; you just need to pay about £10 for a single-entry visa and double prices for multiple-entry one. Some important notes for the visitors who are required the visa is they must have proof of adequate funds and an onward or return sea or air ticket, as well as bank statements from the previous three months, also needed and they must apply and obtain a Visa in advance at any Malaysian embassy before entering the country. The currency of Malaysia is the Malaysian ringgit which has RM as its symbol and MYR is its currency code. Before Malaysia currency was called as Malaysian dollar, the Malay names ringgit and sen were officially adopted as the sole official names in 1975. Since then, the Malaysia currency has been through 4 series, the first one was in 1967, the next one was in 1982, the third one was in 14 years later and the latest version of its currency was put into circulation in 2012. RM1, RM5, RM 10, RM 20, RM 50 and RM 100 are all values of its currency. Visitors need to notice that only RM 1 and RM 5 are made of the polymer while the others are made of paper with each value has its specific main color such as RM 1 is blue, RM5 is green while RM 10 is red and so on, moreover, even their dimensions are of different size too. 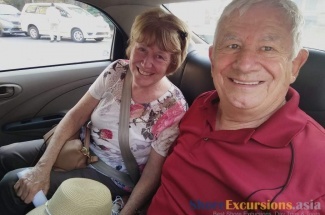 Those significant features are very useful for tourists especially those travel in their long day tours in Asia shore excursions then come to Malaysia shore excursions. Because each country in Asia has its own currency, unlike Europ Unions; tourists must be very careful every time they change money in case they are given the counterfeit money. Telekom Malaysia is Malaysia’s national phone company which is also the main landline service provider. It will provide you reliable fixed-line phone and internet services with very affordable prices which start at just 8 sen (1 ringgit = 100 sen) for the first two minutes and are only 4 sen per minute thereafter for local calls. How cheap and convenient it is even for those traveling by cruise ship in their Malaysia shore excursions! It is also very easy for visitors to obtain the landline. They just need to go to any TM branch bring a copy of your passport and your Employment Pass or visa, that it, then they will install the address of the landline and you can be reached on to arrange an appointment to install a telephone number if you want to. Do not worry because the application forms can be requested in English! Some more thing you need to note down such as 100 is the number to contact the Telekom’s customer services center, for Directory Service, dial 103. Celcom, Digi, and Maxis are other reliable mobile service providers that you can choose. Malaysian are well-known to be social media addicts, so there is no concern about the advanced of Malaysia’s internet infrastructure. Even though the wired broadband internet access (ADSL) is offered widely alongside basic dial-up internet services, as fiber service availability is still quite limited. 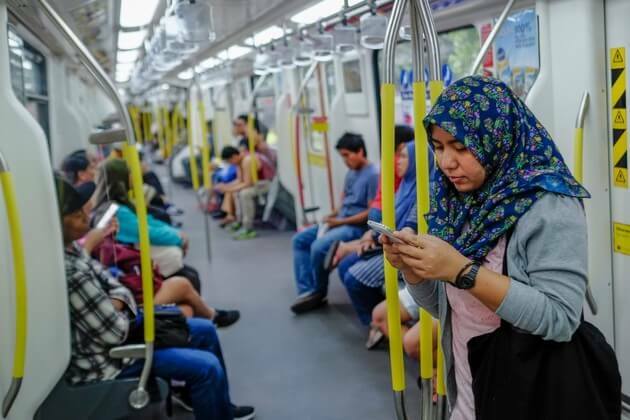 It is suggested that you should sign up with one of the three mainstream internet providers in Malaysia which are Telekom Malaysia Net, Maxis and TIME because of their reliable connection. A copy of your passport and Employment Pass or visa, proof of address and a foreigner deposit are all needed requirements for tourists to obtain an internet connection. 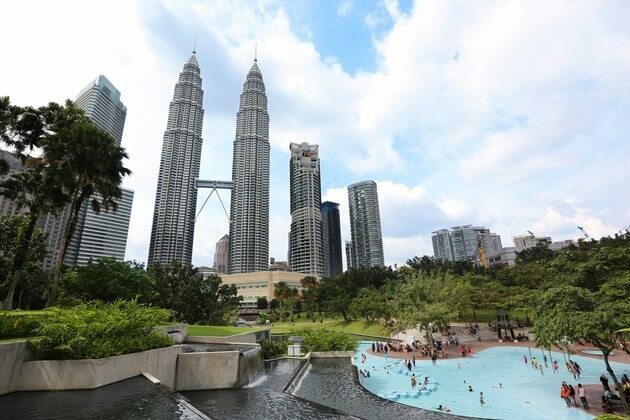 However, if tourists decide to visit Kuala Lumpur (KL) – the capital city of Malaysia in your Malaysia shore excursions, you can get internet connected by the easiest way – Wireless connection (WAP). It is available in many coffee shops and restaurants throughout KL and they are totally free! It is no doubt that the Malaysian postal services (“Pos Malaysia”) are efficient and easily accessible especially in KL – Malaysia’s capital city. As with other postal services worldwide, the post offices offered normal and express (speed post), bill payments and remittance services with some English are spoken. Remember that 1-300-300-300 is the domestic pos line while 603-7626-1900 is the overseas one and 603-7628-0082 is the fax. The operating hours are also flexible for customers: they work from 8.30am to 8.00pm from Monday to Friday and every Saturdays from 8.30am to 5.00pm. Remember that they do not work on the first Saturday of the month and public holidays. So, even you are on the cruise ship on your long trips Malaysia shore excursions, be free to send presents to your friends, your family immediately if you’d like to! Malaysia is a hot, humid, and quite wet country that you should note to bring some suitable clothes. Lightweight and breathable clothes is a good idea. An umbrella is also necessary in case the rain suddenly visit. 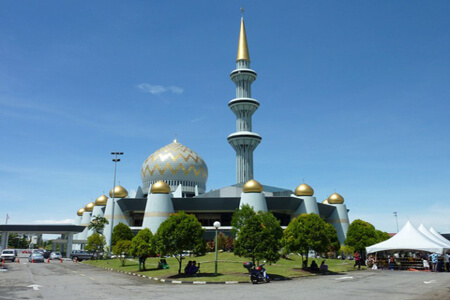 Big cities in Malaysia are friendly with tourists that more kinds of clothing are acceptable, while the rural areas require more modest clothing. The main religion is Muslim leading to locals prefer visitors with shirts covering shoulder and pants longer than knees. Swimwear is mostly banned in some small villages. Dress modestly will make people feel more comfortable and welcome. If you wear a tank top, a light jacket or cardigan outside is needed. Moreover, the air-conditioner in most restaurants and shopping malls will make you freeze. A night in dorm costs from 25 to 50 MYR per night depending on the area you stay in. For a private space, a room cost about 75 MYR with some common services such as free Wi-Fi and breakfast. However, with that price, most hostels do not have kitchens for those who want to save money by cooking by themselves. In Malaysia, there is a unique way to stay overnight - camping which is offered in some public parks surround the country. You can find some at a reasonable price, cheaper than a bed in dorms. 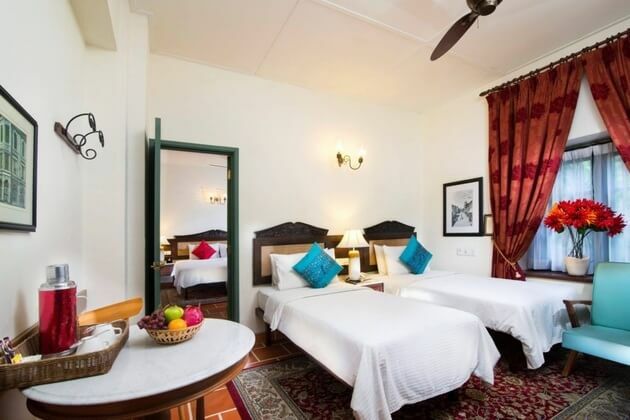 More luxury is hotels which also have many types with different prices. A double room in budget hotels starts from 75 MYR. More well-known hotels cost nearly 200 MYR with free buffet breakfast, laundry, swimming pool, gym, and spa services. To rent a private apartment, expect to spend around 250 MYR. A full-stomach meal in the streets cost around 5 to 12 MYR. Fast food with Western-style costs higher, around 14 MYR per meal. The price for a local meal in restaurants is not expensive, expect the cost of around 10 – 25 MYR if you don’t spend too much on drink, especially beer and alcohol. A glass of beer can cost up to 15 MYR, higher than a delicious street meal. Sticking to western dishes and drink like wine and cocktail will rapidly burn your wallet with average cost 300 MYR per week. The most popular public transportation in Malaysia is the bus with the price of around 5 – 15 MYR per hour. If you are finding for a more private and convenient vehicle, taxi is not a bad idea. However, the cost of a drive is more expensive. Most taxis in Malaysia do not provide meter service, so you can deal the fare with drivers, or share with other tourists. 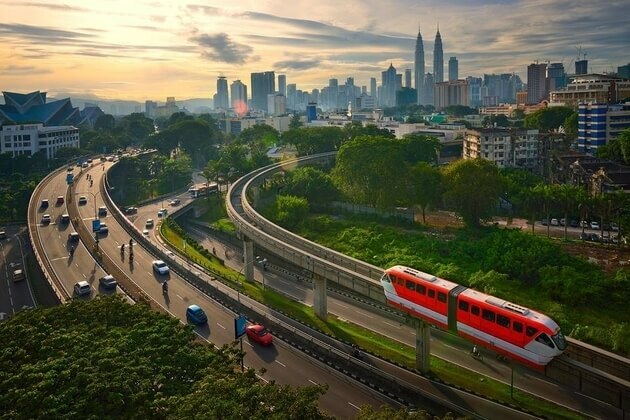 Travel from Penang to Kuala Lumpur – two most touristy cities in the country, instead of booking a flight with price starting from 120 MYR, you can save money by hopping on the bus with 50 MYR. As we said above, most taxis in Malaysia do not use the meter to count the drive fare, so remember to deal with the driver for a reasonable fare before going. Sharing a taxi with other people is also a good way to save money. 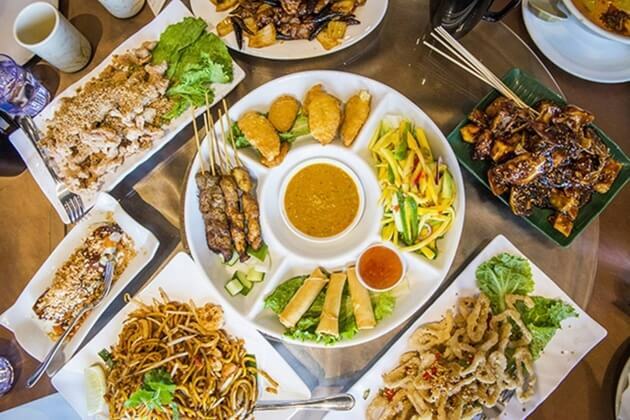 Street food in Malaysia is really good and also the best way to explore the traditional culture. 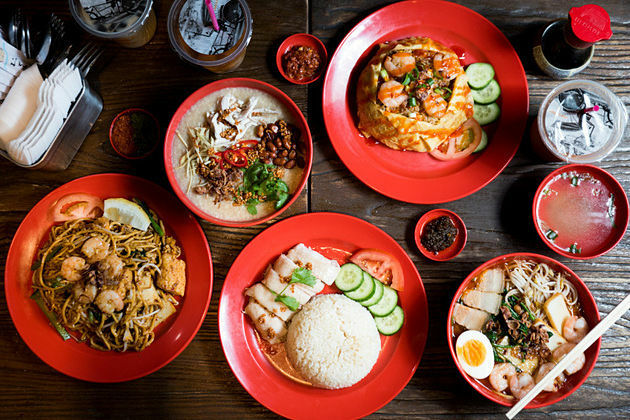 Sampling local food in street stalls and vendors will surely decrease your spend in Malaysia shore excursions. Many best dishes with original flavors cannot be found in luxury restaurants but right on the streets. In a Muslim society as Malaysia, drinking is not encouraged. That’s the reason why the government has increased the drink cost dramatically. Instead of enjoying a glass of beer, you can upgrade your small room in a hostel into a luxury one in a well-branded hotel.